Discover the benefits of regular Exercise. Pass is valid for one day of usage at the Camden Clark Health and Wellness Center. User must not have been a member of the Camden Clark Health and Wellness Center within the last six months. Photo ID required. Local residents only. No other discounts can be used with this offer. Must be at least 18 years old. Not for re-sale or transfer. No cash value. Offer may expire without prior notice. See club for details. By providing your personal contact information, you are giving express consent to be contacted and/or receive marketing communication by email, direct mail, telephone, text message, instant message and other means, from or on behalf of the Camden Clark Health and Wellness Center. Watch a Tour of the Center! Camden Clark’s Health & Wellness Center is a medically-based fitness center. Members benefit from expert guidance on exercise, nutrition and healthy lifestyle habits. Every member’s first visit includes a personalized health risk assessment. The Health & Wellness Center provides many individual needs for its members. 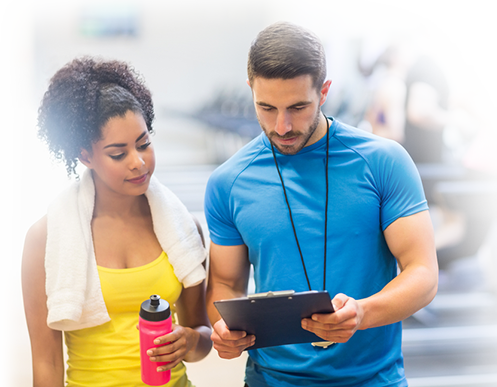 So, whether you have just completed rehabilitative therapy, or have an ongoing medical condition, or are simply interested in getting into shape under a medically-based and supervised fitness program, Camden Clarks Health & Wellness Center is the right choice.